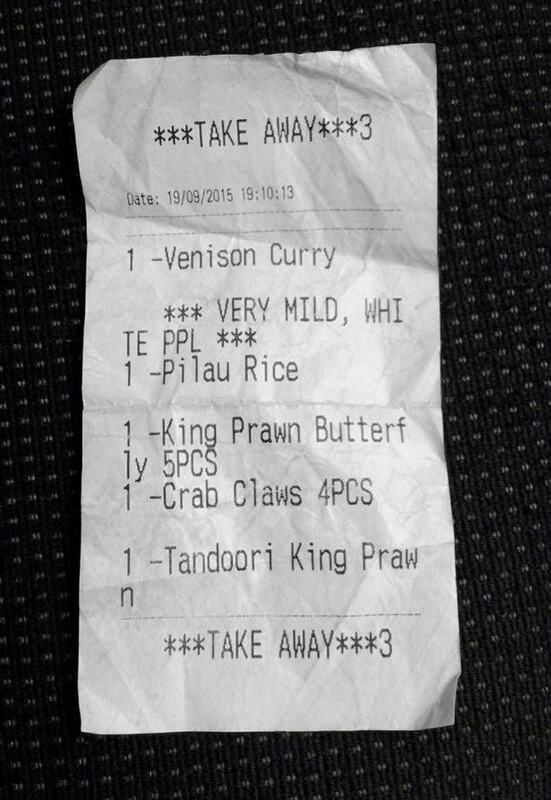 This curry lover was offended when he got his bill and saw the restaurant had written ‘WHITE PPL’ next to his order. 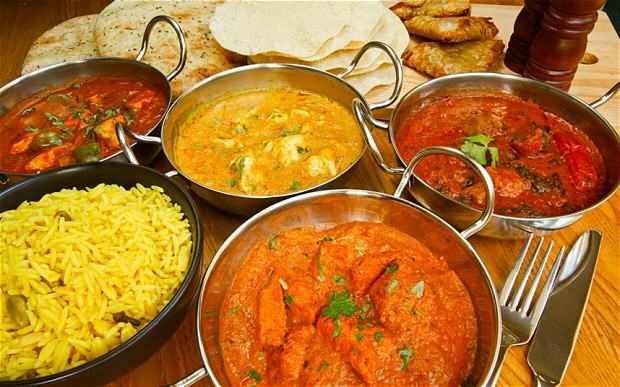 Stuart took this as a racial slur, suggesting that white people couldn’t handle hot curries, The Mirror reports. I was not happy at all – it said ‘white people’ next to my curry. It implies we can’t deal with strong curries. I do like a hot curry sometimes. I just fancied a mild one for a change. I thought it was very rude of them. It was the first time I’ve been in there and I won’t be going back. The restaurant has apologised, and issued an amazing response to the accusations, claiming ‘ppl’ means milk. I have investigated and can confirm it a misunderstanding. Under white ppl, we don’t mean white people, but a white sauce made from milk, single cream, coconut milk and spices we add to our dishes when a curry is requested mild. We want to apologize to the customer for any inconvenience and misunderstanding, we hope the curry was nice and he or she will visit us again. She refused to explain why or how ‘ppl’ means milk, however. As a white person, I’m more offended that I might be associated with a person who ordered a very mild curry.